Energy-efficient Homes: How To Create Yours! Save money on your energy bills and reduce greenhouse gas emissions with a few simple changes. Whether it’s your roof, floor or windows, proper insulation is your number one defence against outside temperatures. A home’s windows are a huge source of unwanted heat gain during the summer months, with *tests showing that over 80% of the heat gained during summer can come from windows alone. Double glazing has been known to increase thermal resistance by up to 94% and is supported by a host of environmental, technical and economic credentials. Windows are one of the chief areas in a home that let the heat in during summer and the cold in during winter. This means that inefficient windows can be a very costly business. Improve the efficiency of your windows by installing double glazing or secondary glazing. The sun is plentiful in beautiful Queensland, so why not put it to work for, instead of against you! 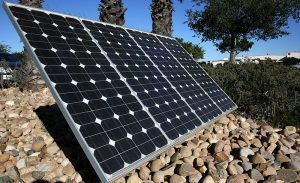 Installing solar panels can help to cut down on energy costs and come in a wide range to suit all tastes and budgets. Solar power systems are made up of panels and an inverter to generate electricity for your home. New appliances like fridges, washing machines and driers use far less energy than older models. Plus, they reduce green house gas emissions. The energy rating label will tell you how energy efficient that appliance is – the more stars the higher the energy efficiency. If you are renovating or building a home from scratch, passive design features can help immensely to ensure a more energy-efficient home. > Try dense building materials like concrete floors or brick walls to help regulate internal temperatures. > Design areas with the ability to be closed off so they can be heated and cooled in isolation.